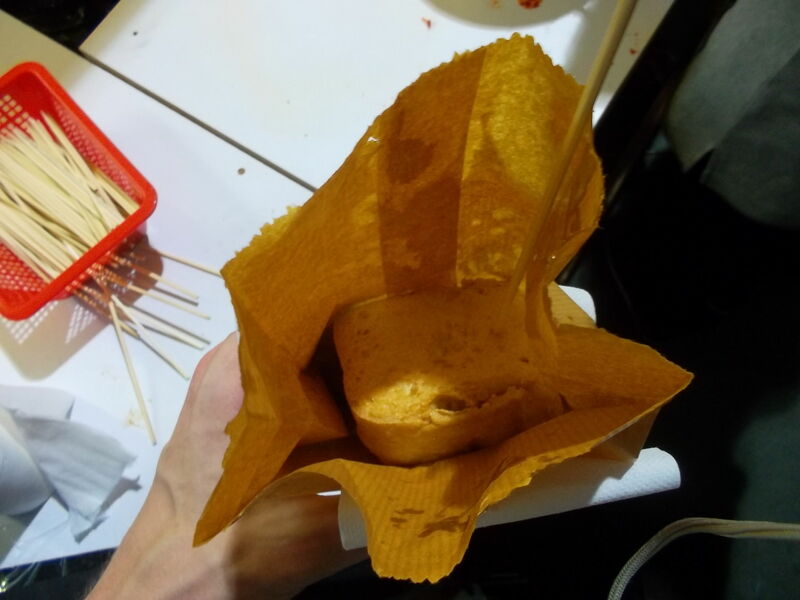 Friday’s Featured Food: Stinky tofu in Hong Kong! In case you’ve missed the latest news, we’re just about to welcome in the Chinese New Year (of the snake) and so today’s Friday’s Featured Food comes from Asia. 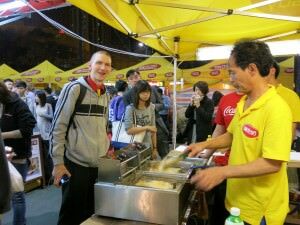 I first tried stinky tofu in 2009 while touring the beautiful island of Taiwan. It’s a fairly common feature of night markets in Taiwan. The wafting scent of stinky tofu is enough to make your nose curl up and cover your face. Hence the title stinky tofu. Yes, it smells! But the good news is it also tastes really good and it’s worth sniffing the odour to get a taste of stinky tofu. 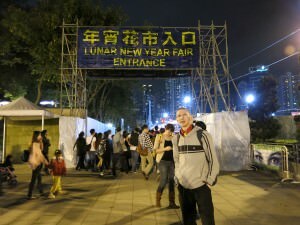 As it’s Chinese New Year this week in Hong Kong, I sought out a night market at Victoria Park in Causeway Bay to try stinky tofu in Hong Kong for the first time. 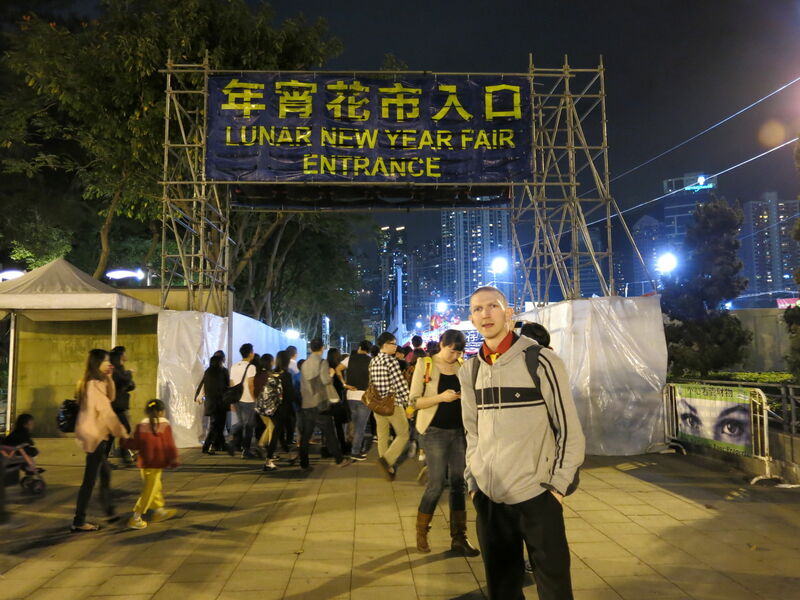 I headed to Victoria Park in Hong Kong to sample stinky tofu at the Lunar New Year Fair. For a start, you can get stinky tofu all year round in Hong Kong (most prominently in Mong Kok) but it somehow feels better to have it at Chinese New Year, and in a typical outdoor food market. 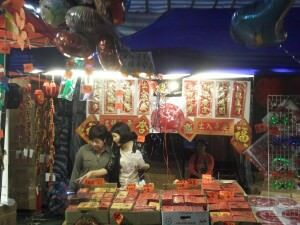 I love Asian Night Markets – I truly got my flavour for it while backpacking in Taiwan in 2009. These night markets in Asia are something I love and it’s always more than just the food (if you know me, you will know I’m not actually a food freak at all). 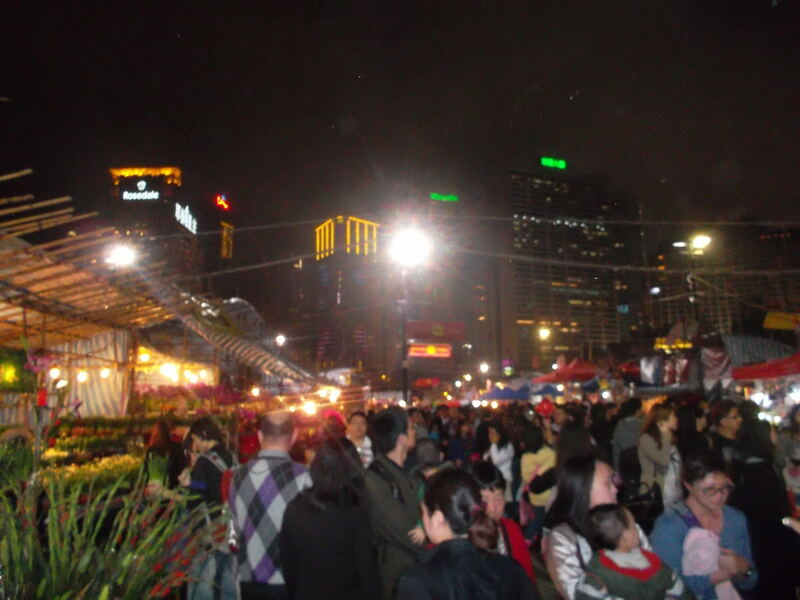 For me night markets are a cultural experience and an exciting aspect to travel. 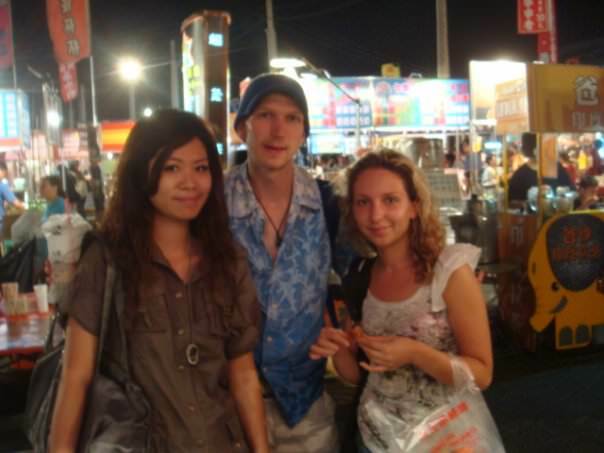 It was backpacking round Taiwan in 2009 when I got my enthusiasm for night markets. Where is the Chinese New Year Market in Causeway Bay, Hong Kong? There are loads of Chinese New Year Markets in Hong Kong but I choose to go to one of the busier ones – the Night Market in Victoria Park at Causeway Bay. It’s easy to find by the way, just get out at Causeway Bay MTR station Exit E and follow the crowds to Victoria Park! There is a massive entrance sign and it’s pretty unmissable. 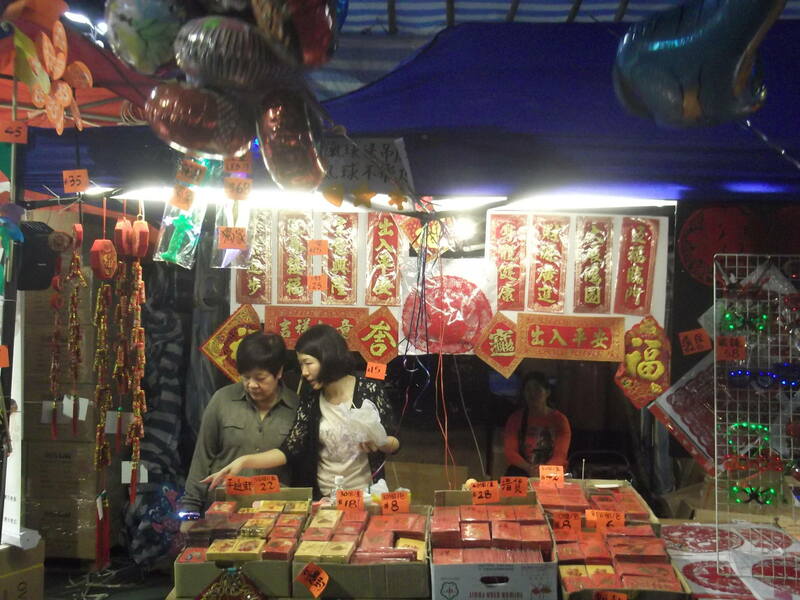 What can you buy at the Chinese New Year Market in Causeway Bay, Hong Kong? There is a totally wide range of things to be purchased, the most popular ones seem to be Chinese gifts, flowers and food. But let’s skip all that for another post and concentrate on that wafting smell that was apparent as we walked through the night market – the smell of stinky tofu! Firstly…what is it? What exactly is Stinky Tofu? It is the softest one and it still smells. This stuff is harder to pick up but easier to eat if that makes any sense. I first tried it in Tainan night market in Taiwan. Not quite the same as this is dried and can be eaten cold, I had it in Shinying night market in Taiwan. 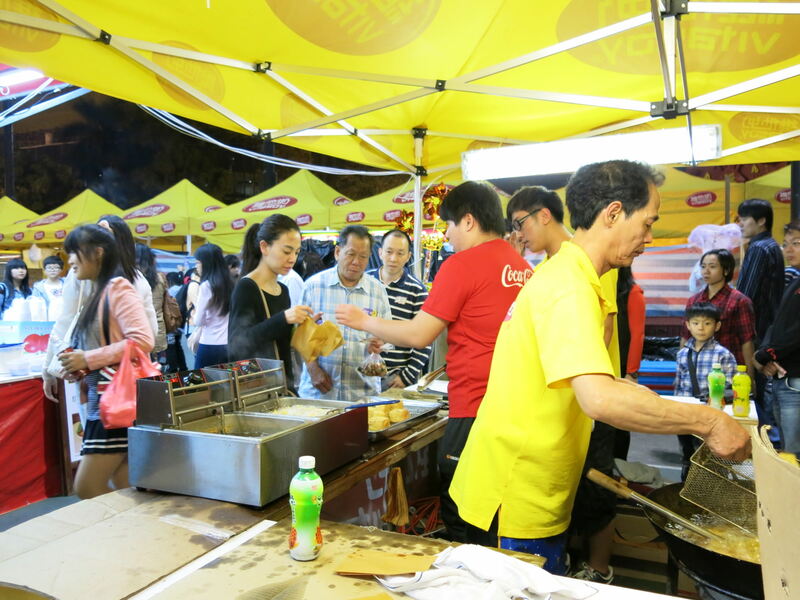 There are many different types of Stinky Tofu, the most popular place to try them is Taiwan. MY PICK. Easily the best one to try – it’s deep fried, piping hot and traditionally Taiwanese. It can be eaten on its own or as an accompaniment with meals. I first tried this in Taiwan (also in Shinying I think) and this is the one I had this week in Hong Kong. This is the less stinky version as it has been cooked and made crispy over a barbecue. I haven’t actually tried it -it’s very popular in parts of Taipei apparently. The stinky tofu was at the food market at the back of the Chinese New Year Market. The queue was long but worth joining – it was 15 Hong Kong Dollars (HKD) for one large chunk of stinky tofu, or 25 HKD for 2 pieces. I went for 2 and tried one with the sweet sauce and one with the spicy sauce. The night market selling stinky tofu in Hong Kong. While in Taiwan you can get your Tofu on a plate and sit down to eat it if you want, here in Hong Kong almost everyone just gets it in a bag and eats in on the move – not quite as good as the sitting down culture that I remember so fondly in Taiwan. But Hong Kong moves fast, this is a busy place and with endless growing skyscrapers, a table and a chair just use up too much ground space. So it was time to stand on the sidelines and devour my first stinky tofu experience since 2009 when I was in Taiwan (inspired by Millwall Neil, my nomadic travel buddy). It tasted great! It made me miss Taiwan and sitting down at a night market with a beer and not a care in the world. Adding the sauce to my stinky tofu in Hong Kong at the night market in Victoria Park. 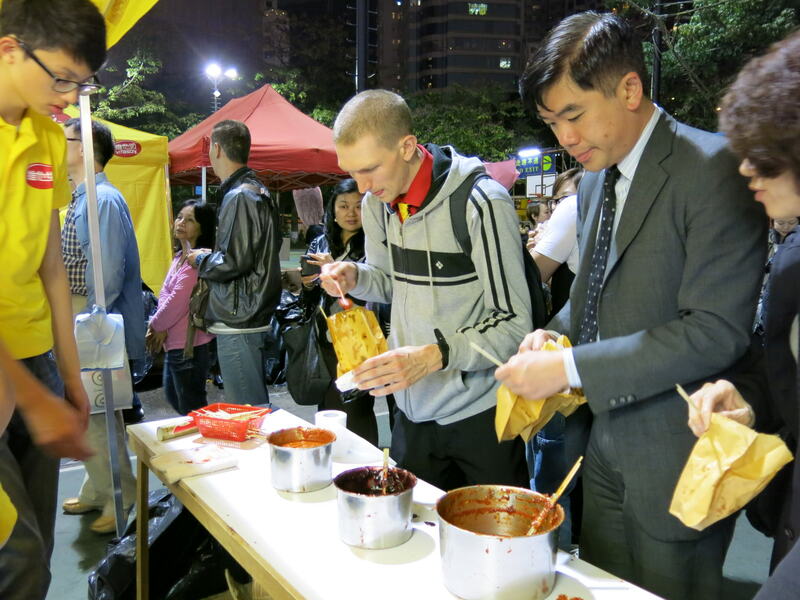 Devouring my stinky tofu in Hong Kong this week at the Chinese New Year Festival. Friday’s Featured Food is a regular feature on Don’t Stop Living – a lifestyle of travel. If you have a bar, restaurant or type of food that you think would suit my readers and you would like me to review it or try it, you can get in touch through my Contacts page and my Advertising page. This entry was posted in Asia, Daily Features, Food, Friday's Featured Food, Hong Kong, Hong Kong Island. Bookmark the permalink.